The news is now “official”. After 14 positive and progressive years with the business, I am leaving Lewis and Hickey at the end of this week (28th February). There is no doubt that this has been a big decision to make, but I very much hope it’s the right one. 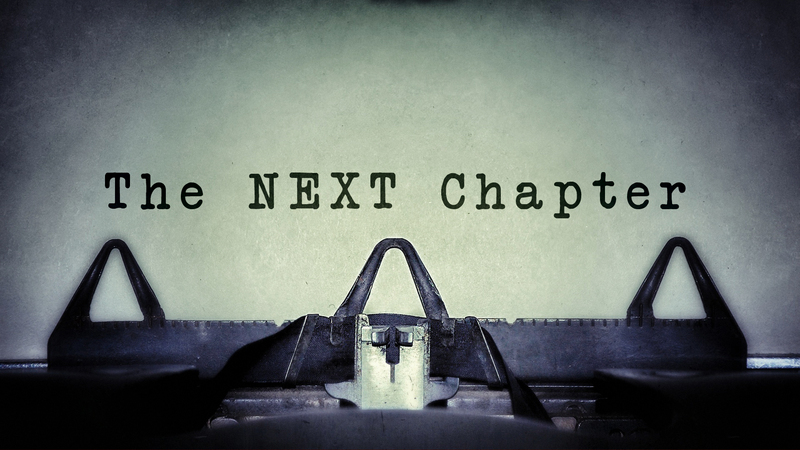 I’ve seen a lot of change in this chapter of my career, both within the company and the wider industry generally. I started at L&H as a junior CAD Technician, I leave as group Board Director and managing director for our Manchester and Nottingham offices. I’m immensely proud of my achievements and story so far. For a good part of my 17-18 years in Architecture, there has been a lot of positivity and growth. I was convinced by around 2006 that I could run my own company. This was of course a naive view because the world changed in 2008! In recent years I’ve gained some incredibly important and valuable experience on the very real (and sometimes negative) aspects of running a company. The sort of things that I suspect I will reflect on/ use for the rest of my career. The wider economic outlook is, I think, looking much more positive. That’s not to suggest we are completely out of the woods, but things are definitely improving. So, the recurring question I’ve had over the last week; “Why am I leaving?” There are many…many reasons! I firmly believe that Lewis and Hickey is a good business. I’m proud to have been part of the company and I genuinely wish my friends and colleagues here the very best for the future. I hope I’ve made an impression (good or bad) in my time, but I’ve no doubt the company will forget about me soon enough. I have made a conscious and substantial effort to leave the company positively in handing over my duties. Kevin Smith will be taking a lead in the Nottingham office and I have a lot of confidence in him, even though we’ve only got to know each other properly in the last year or so. A new recruit, Clive Panter, will be leading the Manchester office. So back to the question. Over the last year I have felt that my day-to-day challenges have been too great. I’ve been trying to fulfill 2-3 roles within the business and this has taken its toll on me – personally. A large proportion of my time has become consumed in operational activity and, whilst this is important and I feel I can do this role, it’s not where I believe I can make a real difference and I simply don’t enjoy it as much as other things. I’ve also come to realise that spreading yourself too thin means you quickly become ineffective. I’ve always enjoyed my job. It’s important to – if you can. I believe that success, motivation, determination and progress are all driven by enjoying what you do. If you don’t enjoy what you’re doing, why do it? If it’s simply for the money, then that’s fine. I understand that. But that’s not how I work. Don’t get me wrong, reward is essential, but I also believe that having enthusiasm in your work makes you stand out. Enthusiasm in what you’re doing conveys confidence and that, in turn, provides tangible results. That’s much more what I’m about. Colin Wilkinson – who employed me at L&H. Clive Welham – My MD in Nottingham for a number of years. Jason Ainsworth – Who I went to Uni with – and I’ll be working with again shortly! Brett Stevenson – Who I first met at the beginning of my career and has become one of my best friends. Antony Phillips – Ant and I designed the Si Yuan Building at the University of Nottingham – a highlight for me so far. He’s a great Interior Designer – who could/ should be an Architect! Mike Alete – One of the most talented design architects I’ve met to date. A genuinely decent and engaging guy to work with. “Two tall guys from Manchester” (who will remain nameless) – Despite some challenges, due mostly to different business agendas, I learnt a lot from them, especially in Student Living. Mike Pring (formally of CPMG Architects) – Who worked with us for a period. I enjoyed working with Mike who I admired as an Architect. Mike Jauncey – For his straight talking approach to business, for believing in me and pushing for me to join the Board. Andrew Talbot – My good friend and former colleague deserves the greatest degree of appreciation. He not only got me through a tough period at Uni, but he taught me the importance of enjoying your work and doing it with enthusiasm. Of course a special thank you to my board colleagues; Paul Miele, Tim Hall, John Meade, Peter Daines and Colin Nicol. You are great guys and I very much hope we can keep in touch. Despite some challenges, I have enjoyed our time leading the business and will miss you all. Thank you particularly for inviting me onto the Board. Thank you sincerely to everyone else who have been part of the journey. That’s not to say that you’re at the bottom of the pile, far from it. There are so many people I’ve worked with along the way. If you’ve worked with me at some point; thank you and good luck. A special mention to someone I’ve worked closely with in recent years. Jacqui Gillen and I started working together around five years ago. I still struggle to refer to her as a ‘PA’ or ‘Assistant’ because, whilst she fulfilled a lot of support duties, she did much more too. She has stood alongside me at many points and even led me at times. We have shared views and ideas on how to do things and have achieved a lot together, far more than I could have done on my own. She has been unquestionably dedicated and committed to all her work, more than many other people I’ve worked with. I will miss working with her greatly. Thank you sincerely for all your great work. Good luck. More to follow shortly on the next chapter at WCEC Architects. But ones things for sure from my perspective; I’m going to enjoy it. It’s been great working with you on Si Yuan, I’m a great believer in the ethos that you create your own luck so on that basis, you’ll do brilliantly!